In Cuba‘s deteriorating urban landscape, graffiti art, far from a form of vandalism, is a public service. Art scattered all over Havana has transformed uninteresting buildings and neighborhoods into giant public art galleries. Here you can explore some of the capital’s best street art in a single day. Graffiti is often considered to be an ephemeral art form. So much so that the work currently on display could well have disappeared by the time you read this. Havana City doesn’t have a body in charge of taking down graffiti, but the surfaces they’re painted on are subject to change – especially now that construction work is more dynamic in Havana. For instance, the graffiti in the picture below, that for a long time was visible near the Partagas Cigar Factory in Old Havana, is now gone. The fence where it was painted was removed when the workshop of old locomotives occupying the yard was closed. Rather than trying to find specific pieces, it’s better to explore areas that boast an abundance of graffiti. Centro Habana, Old Havana and Vedado are all prime locations if you’re looking for places to find street art in Havana. And if you’re a graffiti freak, there are important pieces in more distant areas of the city as well, like Alamar, Reparto Electrico, Marianao and San Agustin. Over the years, foreign graffiti has undoubtedly played an important role in promoting this art form across Havana, so it’s common to find international artwork alongside those of Cuban artists‘. However, given that many of the works are anonymous, it’s hard to tell who comes from where in some cases. Established local artists like Yulier P, who sign their own work, can be easily recognized. Some of his pieces are cleverly integrated into their surroundings and context. A good number of graffiti examples found in Centro Habana show Afro-Cuban influences: naive style, geometric shapes, shiny colors, religious icons and phrases in Yoruba. In some communities, like the now internationally famous Callejon de Hamel, these pieces play an important role in preserving and promoting local identity and culture. They also act as attractions for tourists making graffiti art an important source of income for this neighborhood. Callejon de Hanel also offers arts and crafts, drinks and even rumba shows and lessons for tourists. 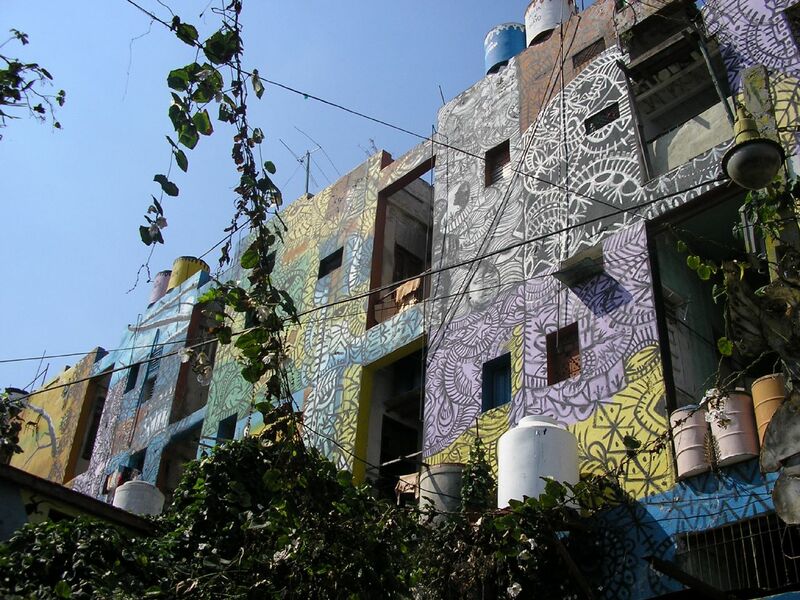 The Havana Art Biennial, one of the most important cultural events in the city, has contributed to establishing graffiti as a recognized and appreciated art style. In the context of this type of art event, arrangements have been made with local authorities to create large size pieces that demand use of scaffolds, protection equipment, and long hours or even days to complete. Those pieces are easily distinguishable from smaller projects that take less than one hour to create – not only in terms of size, but also in content, with the smaller/faster/unauthorized ones being more controversial at times. In Cuba there is a big difference between artistic graffiti and political graffiti. The latter tends to be officially produced by local propaganda departments, showcasing images of Cuban heroes and slogans. The more artistic, independent street art tends to depict a wide variety of creatures, shapes and topics. From photo-realistic paintings to simple stencils, the techniques used in Cuban graffiti are extremely diverse, with a good variety to choose from. Although Cuba is a poor country, and artists can have a hard time getting decent materials and paint, it never seems to impact the quality of up and coming art.